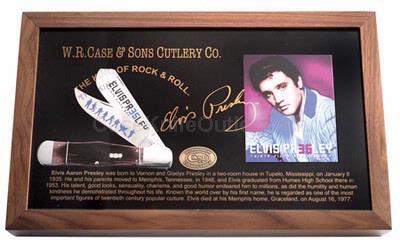 Elvis Presley® 35th Anniversary Commemorative. Case Collectable Medallion. Case “Long Tail C” Serialization. Certificate Of Authenticity. Wooden Shadow Box. Production limited to 500 Pieces. As with all natural material color and texture may vary. Made in the USA.